The story is quite better than a lot of other xianxia and it isn’t stupid (maybe a little boring). There is a lot of mystery around his past and it isn’t just like let’s dump everything on the reader (wdqk). The romance is slow and he only loves one girl who he already had a relationship with before but didn’t meet again til chapter 142. Mu Chen has an extremely likable character. He is actually smart and knows his limits. Not extremely arrogant (he’s handsome... more>> though *winks) and he isn’t a flat out jerk. It might be a typical xianxia novel to a lot of people, but hey, it is xianxia. Yes it's slow, but I actually understand the concepts in this novel compared to a lot of fast paced ‘I want to get stronger because of insane luck’ novels. The sweet thing that’s between Mu Chen and Luo Lu is so cute. It makes my heart flutter because it isn’t all perverted or rated r. Seriously the romance makes sense in this. It wasn’t just put a random pretty girl in it and make a romance based on lust (mga). I know it might be slow but it pays out because there are less plot holes. And what a lot of people think are plot holes are supposed to be explained as time goes on. The author is not just going to dump everything on you like a lot of other xianxia. This keeps the mystery factor and it keeps the story going. I can’t stand how other xianxia stories go and reveal everything. No great back story. You know everything within a few pages and what you don’t know is a pothole or it isn’t mentioned once in a couple tens or hundred chapters. For someone who has supposedly been through multiple life and death battles and is supposed to be ruthless, he has a habit of always letting the actually meaningful enemies go when he has ample opportunity to kill them while only being ruthless against nameless mooks. Very similar to BTTH so far. Shares the same sort of decent aspect, which is an interesting cultivation method. However shares the same huge pitfall: everyone in the story is a special kind of dumb. Makes it almost a chore to read, just like BTTH. Only read these stories after you've read all the other good stuff. When a character can do everything and I mean everything like medicine, martial arts, formations, anything you can think of. So much that even his father asks his opinion before doing something. The story becomes stale. One of my fav xianxia ever. Great storyline, characters, mysterious past, conflict, and NO harem. So glad this isn't a harem story because I don't feel like reading harem now. Mu Chen is powerful but it didn't come without hard work. Sure, he got lucky encounters too, especially with the nine nether bird, but it's his mysterious ability and strong determination that saves him. Meanwhile Luo Li is one with a great burden but also strong determination to stand with Mu Chen. Her problem is also what drove Mu Chen to... more>> strove higher (that and his mother's problem). The name of this novel should really be "The Great Plot Armor." This story is 2 Stars for me. Every story starts at 5 stars for me and I take 1 star off for every seriously bad aspect that I dislike about it. -1 star for the annoying repetitive descriptions to pad the word count. I don't need to be told how pretty a women is 30, 000 times in several different ways. -1 star for the stupid decisions the MC makes. Let me activate this super powerful and super dangerous thing that... more>> can instantly kill someone way stronger then me, but I will survive with only light injuries because "reasons." -1 star for the terrible plot armor. I have this super powerful art. 50 chapters later. I can't train in this art without 3 super rare spiritual treasures which I can't find. Within 30 chapters he finds a clue for 1 of the treasures... Seriously?! I thought these where super rare! I'm fighting someone way stronger then me but I will win because "reasons." Most reviews of this novel don't do it justice, mostly because they haven't read all of it. So I thought to give it a try. I wont spoil anything specific that happens because if you guys really want to find out then the other reviews can do that. Firstly before you even touch this novel you need to read BTTH AND WDQK (Both of which are great novels). Its a trilogy. Towards the later half of the novel characters from the other 2 novels appear. This book, like most novels, is cliche... more>> in many ways (you know the main guy is awesome) and if you like xuanhuan I think you should just expect it. So I ignore any complaints along these lines. MC who has a purpose and goal. He isn't getting stronger just because he feels like it. You can feel his emotions and drive and that is great. Interesting cultivation methods and techniques. Not just normal one on one but all building spiritual arrays and setting up battle arrays. Mini mini spoiler but................... at the beginning ingesting soul essences of beasts and later on the sovereign body skills. Diverse world. He meets all kinds of different beasts and people. anyone who has read the other 2 books will be hype when they find out how strong their (other 2 MC) territories are. They do meet and lets just say he makes an impression. Satisfying moments just before the final arc when he achieves the goals he set for himself. Long academy arc which some people dislike. ok I can understand why you may be annoyed since you want him to go out into the world, but in all honesty it emphasises how strong the world really is. AND after that arc everything gets better. Slow translation. ive read to the end by machine translations lnmtl so yeah. its subpar and takes some getting used to. it gets better and better once you reach the 600's and we are years away at this rate so better to machine translate it. I loved BTTH and WDQK so I didn't care. Also after a while my mind figures out what's happening and even if the translation grammar is terrible I can still figure it out (Only took me an hour to get used to it). I like to see TGR as the story where the author reveals all he had learned from writing BTTH and WDQK. WDQK is a mess of overpowered MC and unbalanced battles, while BTTH is overly descriptive, a style that is usually alright, but not that good for Webnovels. With TGR, the author balances the writing, characters, power increases, and fights to make a story far more enjoyable than the two previous works. I want to like this, but it's just unbearable. There's no end to the misery that is little heads, little hands, slender legs, and weak and lovable figures. I want to throw up, this turbovirgin can't write about any of the females that are friendly to the MC without using one of those descriptions. The entire novel is like a stale end piece of white bread. At some point it was bland, but edible, but it's just too far gone. Well, it is enjoyable trash at times-just like btth and wdqk. The same routine repeated over and over. Damn, it is really hard to care for any of the characters in this novel, even the MC (the living and breathing plot armor) with his bloody absurd luck. In transcending the nine heavens, the mc's luck is atleast explained by him possessing the nine tribulations sword. Here none of that sh*t. The MC mentions he needs some super-rare-out-of-the-world herb or whatever and in the next few chapters he 'coincidentally' finds it. well... more>> as I said its enjoyable trash like any third-rate xianxia. TGR starts off with an interesting concept that makes you want to know what happened to the main character. In my opinion, the hype sadly wasn't worth the wait in finding out. Despite this, the main character isn't a scumlord and doesn't somehow attract every person in existence. An interesting new concept by Tian Can Tu Dou. The story is pretty good to read, but some people may get bored quickly because it is a little slow in the first few chapters. Right now, the story goes at a good pace, but later on, it will get really annoying for a certain reason. He stays in the same academy for 500 chapters. 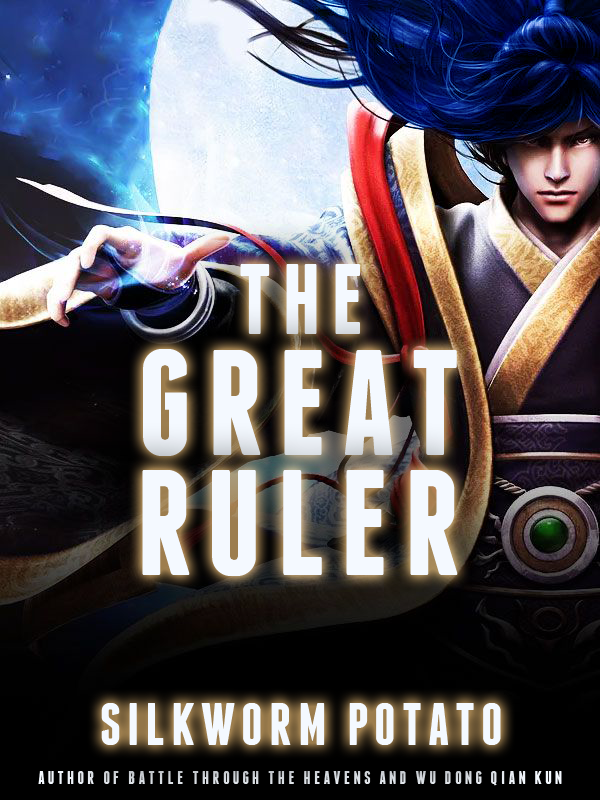 So, Xianxia lovers, you will probably love this story, but for those who want the best novel there is, this is probably not for you. Really good story and shows lot of promise. The MC is a typical genius who comes from a backwater state as in 'PEERLESS MARTIAL GOD' whose parents are also in the same condition ie... missing genius mother and sad, lonely father. I'd like to agree with Smooth Che. This novel is promising but the power-building is... frustrating. With all those hard work and many things to get him at least twice as strong and won back the 'early start' that his rivals have when he got thrown out of that... survival event? yeah. He should at least be twice or thrice now. But then, the author decided to still keep him nerfed despite blessing him with those cheats. Frustrating. The MC is decent. Only care for those who care back to him. Ruthless... more>> and was feared for his action back in that survival events. Since the start of story, he already has a damn badass title and arranged with a mortal enemies. Yup! The romance is... the best out of all Xianxia LN, that have male protag, that I ever read. the way the main couple fell for each other is simply cute and swoon worthy, it straight up won my heart and stample of approvement. The MC is always fighting people with higher cultivation realm, repetitive with stupid antagonist and very little character development. The main difference is the fact that the MC is loyal to love interest, even with the story somehow revolving around the LI, the development between them is kind of lackluster. another thing to keep in mind, the author love describing women.